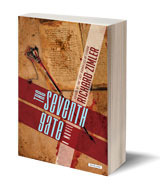 The Seventh Gate, Richard Zimler, MA '82; Overlook, $26.95. Sophie, retelling her teen years from the vantage point of the 21st century, remembers hearing the whereabouts of a young man who had babysat her: "Imagine a time when a German girl has to ask where Dachau is!" Zimler provides his readers that same leap of imagination in this spellbinding novel. Artistic and sexually curious Sophie is surrounded by Germans whose lives will be transmogrified by the rise of the Nazis: her father who agilely converts from Communism to fascism; her beloved brother who is "a distant child" (that is to say, autistic, and terrifyingly vulnerable); the elderly Jewish neighbor whose Kabbala studies offer the girl a glimpse of transcendence; and the community of circus-performer acquaintances who provide a mystery she tries to tease apart. Little America: The War Within the War for Afghanistan, Rajiv Chandrasekaran, '94; Knopf, $27.95. This account of how the Obama administration conducted its so-called good war in Afghanistan is energetic on two fronts: Washington policy infighting and the military strategy in "Marineistan." Its title harkens to hubristic efforts, since 1951, by the U.S. Agency for International Development to remake the Helmand Valley in an American image. Chandrasekaran, an award-winning writer for the Washington Post, notes, "For years, we dwelled on the limitations of the Afghans. We should have focused on ours." The Man With the Bionic Brain, and Other Victories Over Paralysis, Jon Mukand, MA '85; Chicago Review Press, $26.95. The author, who is medical director of the Southern New England Rehabilitation Center, describes his experiences on the cutting edge of technology and spinal cord injury research. Mukand was the research physician for Matt Nagel, a former high school football player who was stabbed in the neck. With the implantation of microelectrodes in his brain in 2004, Nagel became the first tetraplegic patient to control a computer cursor with just his brain activity. Seating Arrangements,Maggie Shipstead; Knopf, $25.95. Seemingly ripped from the Vows feature of the New York Times, this wedding comedy examines the terrible, horrible, no-good, very bad weekend of Winn, the father of the very pregnant bride. Shipstead, a 2009-11 Stegner fellow, writes hilariously about the workings of a meta-WASP family and "how they were set up to accommodate feigned ignorance, unspoken resentment, and repressed passion the way their houses had back stairways and rooms tucked away behind the kitchen for the feudal ghosts of their ancestors' servants." Zoobiquity: What Animals Can Teach Us About Health and the Science of Healing, Barbara Natterson-Horowitz and Kathryn Sylvester Bowers, '89; Knopf, $27.95. Trained in cardiology and psychiatry, Natterson-Horowitz consulted in a 2005 case of heart failure in an emperor tamarin. That call to the Los Angeles Zoo led to this lively book, written with journalist Bowers. It suggests how a "Dr. House, Meet Dr. Dolittle" approach to stress, obesity, cancer, infection and a multitude of dysfunctions could improve treatments for all species. My Hands Sing the Blues: Romare Bearden's Childhood Journey, Jeanne Walker Harvey, '81, illustrated by Elizabeth Zuno; Marshall Cavendish Children, $17.99. Inspired by the collage "Watching the Good Trains Go By," museum docent Harvey wrote this blues-inflected biography to introduce young readers to artist Romare Bearden. This picture book, which imagines Bearden's boyhood migration from North Carolina to Harlem, won the 2012 International Reading Association Children's Book Award for nonfiction primary books. —Dana Gioia, '73, MBA '77, in his poem "Haunted" from Pity the Beautiful, Graywolf Press, $15. 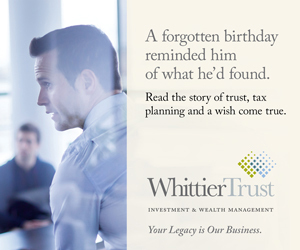 In a world of capitalism, how do egalitarian principles survive?